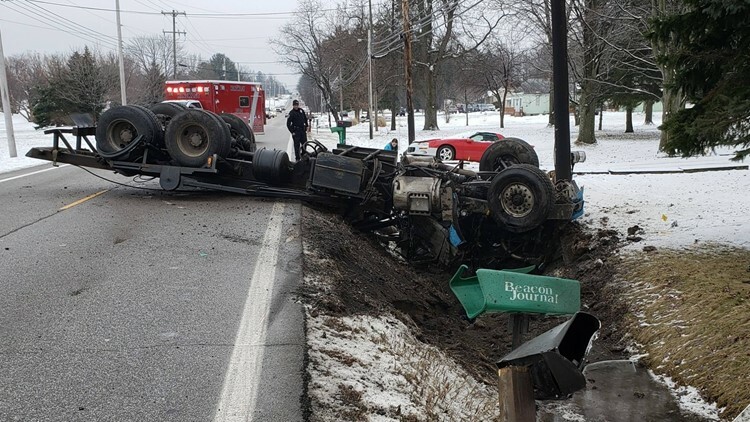 HINCKLEY, Ohio — Center Road in Hinckley will remain closed until further notice as hazmat crews clean a fuel spill Monday afternoon. No injuries have been reported after a truck overturned into a ditch, spilling fuel. Hinckley police say the road may closed for a few hours and drivers should find a different route.